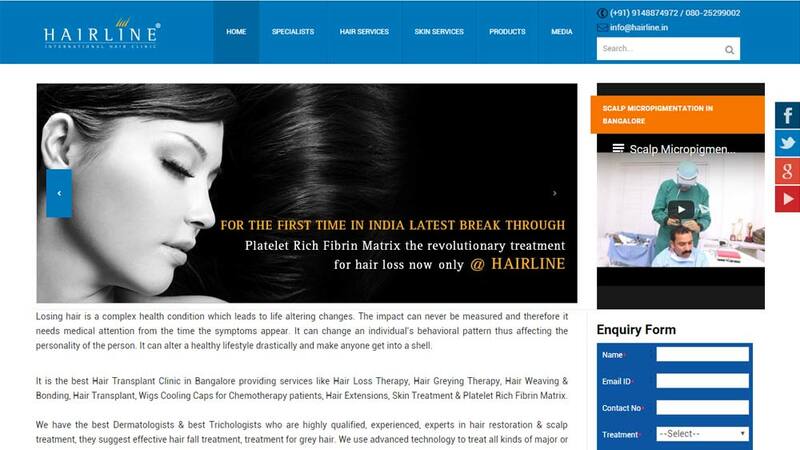 Bangalore-based Hairline International Hair and Skin Clinic is providing pick up and drop facility to its customers within 8-km radius till March end to grab big pie in wedding season. Aiming to get maximum footfall during wedding season, Bangalore-based Hairline International Hair and Skin Clinic have announced an irresistible offer to provide free pick up and drop to customers within 8-km radius for treatments at their Whitefield clinic. At the Whitefield clinic, the brand offers hair treatments like hair transplant, customized wigs, Platelet Rich Plasma (PRP), Platelet Rich Fibrin Matrix, and skin treatments like laser treatment, peeling, PRP, and Collagen threadlift. Elaborating on the strategy, Bani Anand, Founder-Director, Hairline International said, "The wedding season has started now. And it is the time when brides are generally stressed about their hair and skin. We want to ensure they are not stressed anymore. And guests at weddings too want to look their best. Not just the brides and wedding guests, we want all our customers to walk in for treatments without any stress." Customers to Hairline's Whitefield clinic can avail of this special offer both on weekdays and weekends for treatments worth Rs 2,000 and more per person per sitting. This offer is open till March 31, 2015. Hairline International Hair and Skin Clinic bring state-of-the-art international procedures, machinery and treatment packages to deal with hair, skin and beauty issues across the spectrum for men and women. The brand has six centers in Bangalore including Indiranagar, Whitefield, Marathahalli, Jayanagar, Richmond Road and RT Nagar. iClinic launches app for easy consultation..